Many of you all may be interested to download all (or selected) of your blog posts into PDF file. And we have many opportunities to sell our eBook via web for affordable amount ( Eg: SEO Clerks ). Here, I will explain the procedure step by step manner. click here to get into the website. 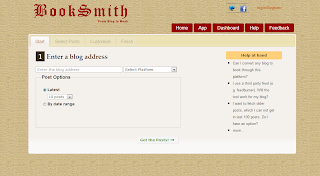 Convert Blog Posts into eBook (pdf file) Shot 1. 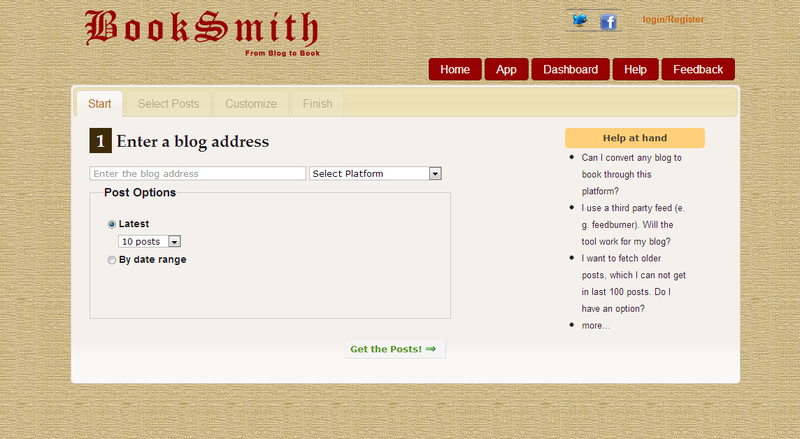 Now you have to do is, Enter your blog address on the textbox. And select platform (may automatically done). 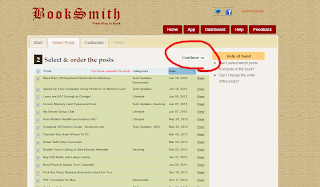 Now select the amount of post or order of post, that you want on your eBook. 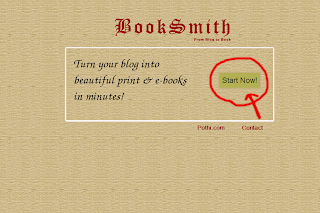 Convert Blog Posts into eBook (pdf file) shot 2. Now click on Get The Posts! button. 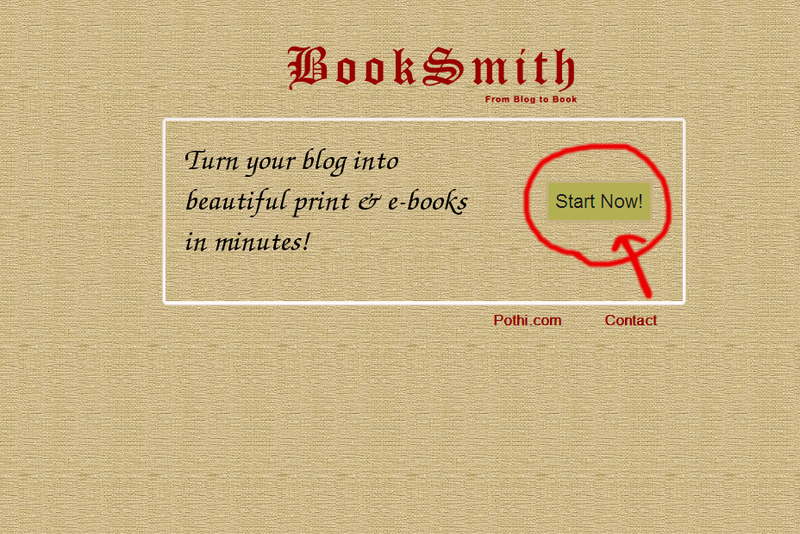 Convert Blog Posts into eBook (pdf file) Shot 3. Here, you can select any of the option. If you select the 1st option, You have login with Google Account. Now Select posts you want to include on your eBook. And click Continue! button. 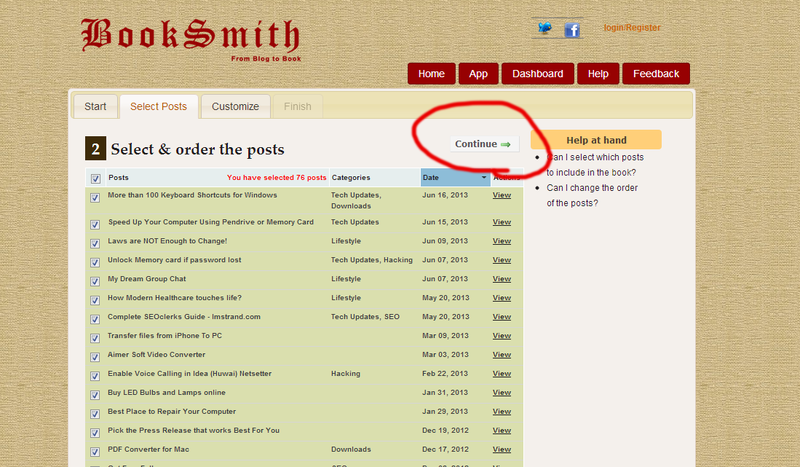 Convert Blog Posts into eBook (pdf file) Shot 4. 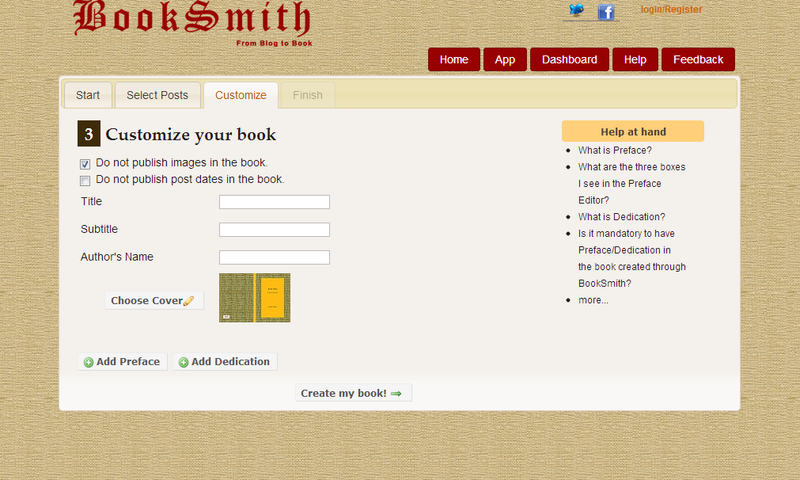 Now it's your chance to customize your eBook. 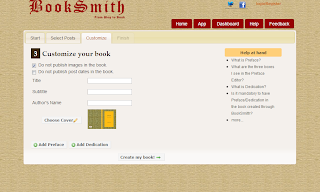 Here you can add Title, Subtitle, Author's Name for your eBook. Convert Blog Posts into eBook (pdf file) Shot 5. Now Click Create My eBook! button. 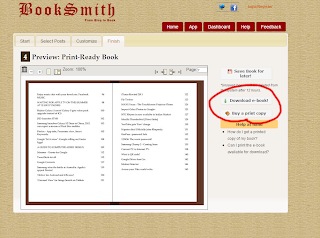 Now preview and Download and buy a printed copy of your eBook. Convert Blog Posts into eBook (pdf file) Shot 6. Say Caller's name on Any Android 100% working.